Clumping of things e.g. woods, newspapers, garbage etc. serve as the places for the breeding of pests. Try to avoid clumping of items. Caulk the crevices and cracks at home. The cracks serve as the entry points for pests. Use the wire mesh to cover the holes. Before applying pesticides, make sure that there is no chance of any child getting to that place as the pesticides may prove themselves harmful for children. Try to use the chemical pesticides that possess low-risk. Try to use pesticides only in the target locations of pests invasion. Do not use them in the whole of the room, however. Always make sure to read the instruction on the label of pesticides. The label has all the details where the pesticides can find a use. Always go for ready-to-use products. This saves your time and energy. Use only those chemicals that are safe for use at home. You can obtain more information by the EPA registration number of the chemicals used in the pesticides. Read the pesticides labels. There are instructions for their safe discard. Moreover, the label has instructions that guide about how to use the pesticides safely, how to provide first aid to anyone affected by the pesticide and the phone numbers available for help. There are the communities in every area that accept the hazardous waste collections of houses. Find the communities being operational at your area and finally contact them for disposal of pesticides and their containers. There are many pesticides that are only for the outdoors usage. Do not use them indoors. Moreover, there are harsh chemicals content in the outdoor sprays that last much longer inside than they last at outdoors. Hence,this makes them toxic to use inside the houses. While using pesticides do not assume that the more we use the pesticides, the effective it will work. Use according to the recommended quantity. Read the labels for proper guidelines regarding usage since excess usage can harm the health ofthe family. Keep the pesticides in the originals containers they come. There are many examples of accidents where children have consumed the pesticides stored in the beverages bottles. If they are required to be diluted with water before usage, this should be done carefully. Now that you are aware of the dos and donts related to pest control, you must always stick to them. Although this will help you significantly in controlling pests from your home, you still might not be able to get rid of them completely. Hence, availing professional help becomes necessary. Professionals not only have the required skills and chemicals, but also enough experience and expertise to carry on the task like a pro. 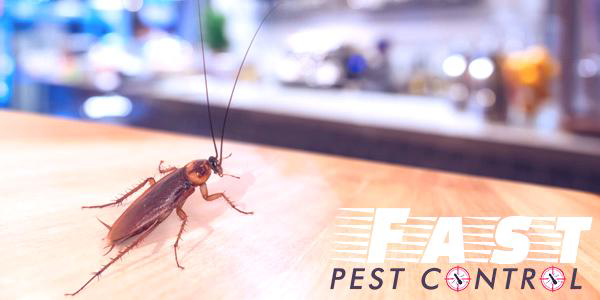 If you are searching for a trustworthy pest control services, then Fast Pest Control is the one for you. You must avail their services to make your home 100% pest free. The company boasts of having an expert staff to cater to your needs in the most effective manner. Moreover, the company has also won many awards and recognitions for commendable work. Give them a call on 1800 339 712 to get in touch with the staff and avail their exceptional services at an affordable price.